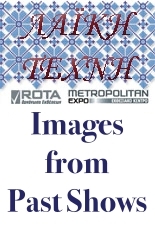 Here are the latest images from our stand at the exhibition "Laiki Texni 2009" that took place in the International Airport "Eleftherios Venizelos", 8-12 of January 2009. 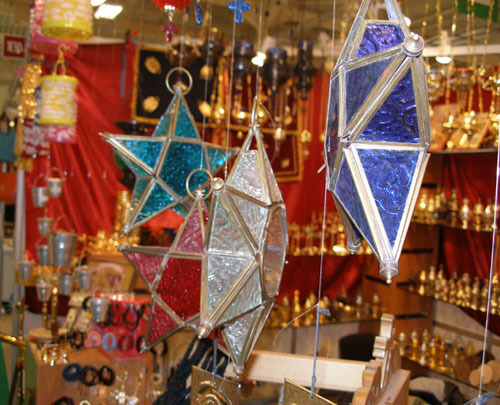 Star Candle Lanterns (Exhibition Laiki Texni 2009). 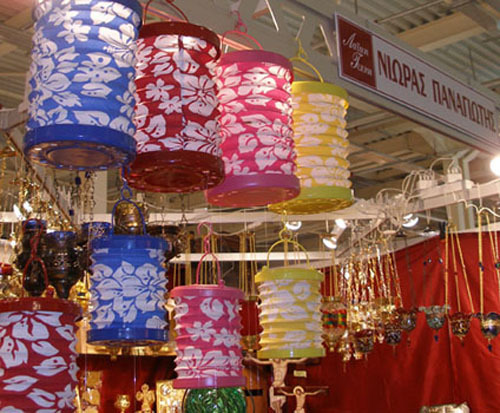 Collapsible Cloth Lanterns (Exhibition Laiki Texni 2009). 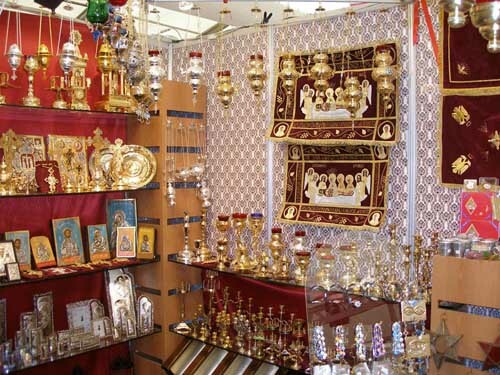 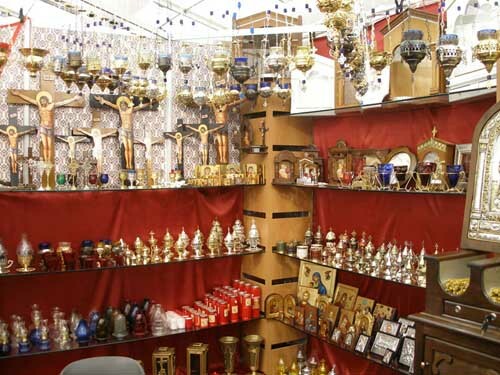 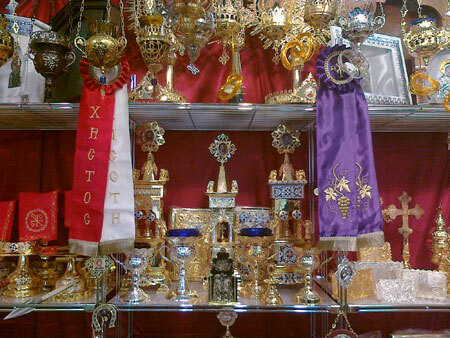 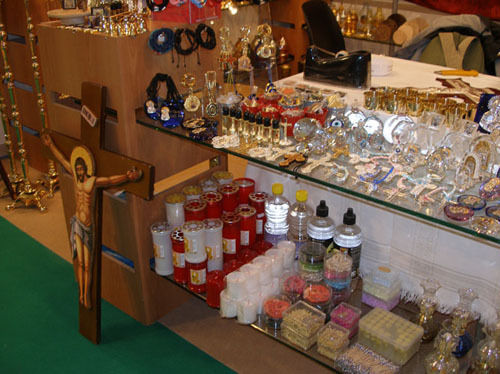 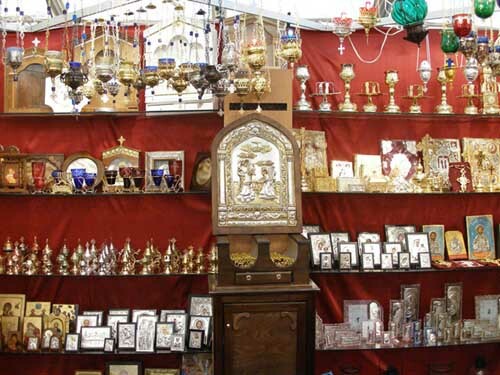 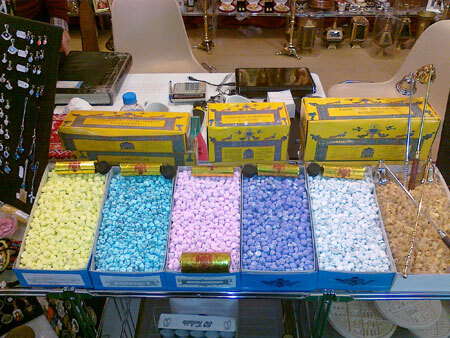 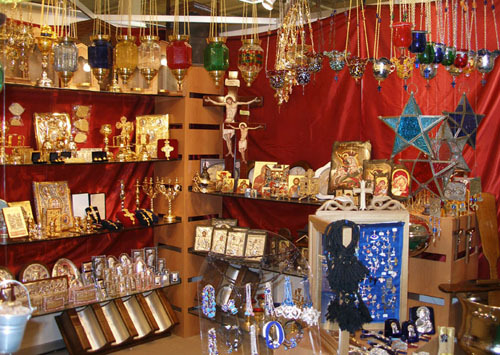 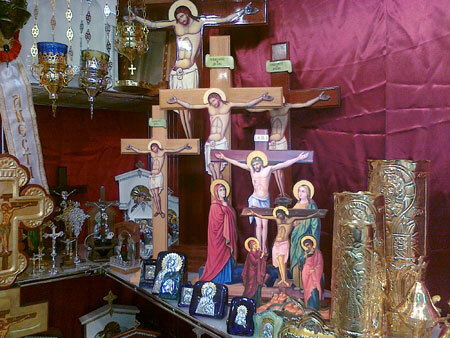 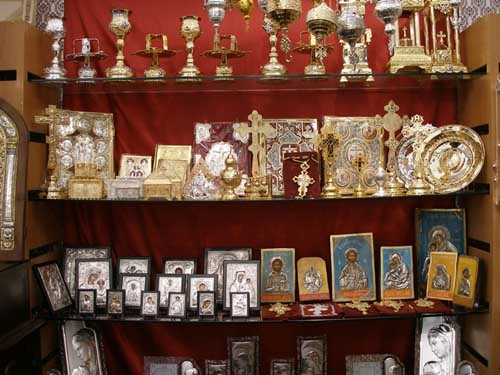 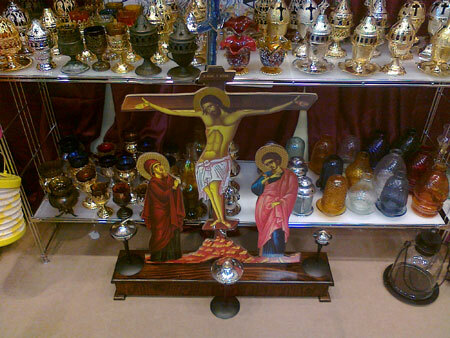 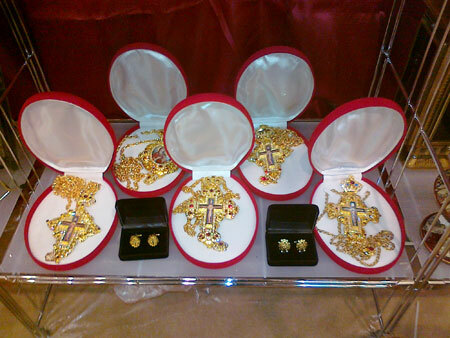 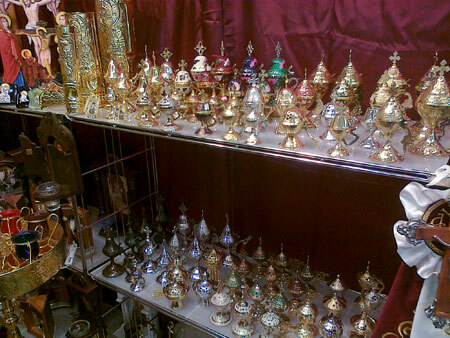 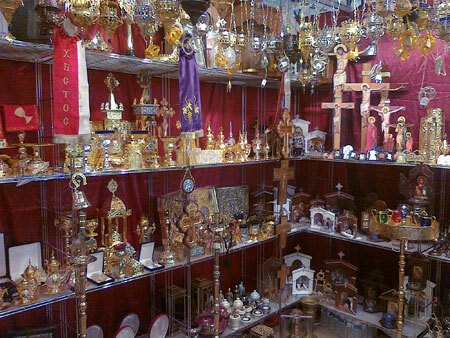 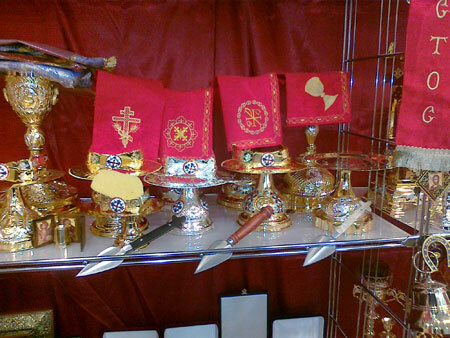 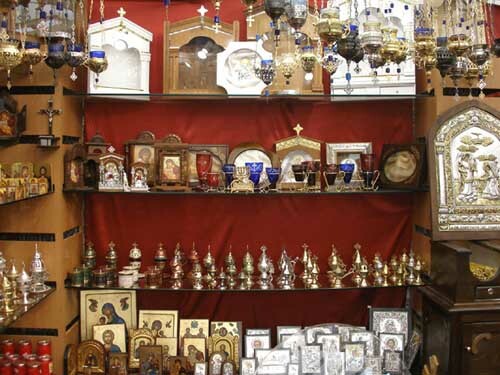 Here are some Crystal Icons, Wicks, Candles and Crosses (Exhibition Laiki Texni 2009). 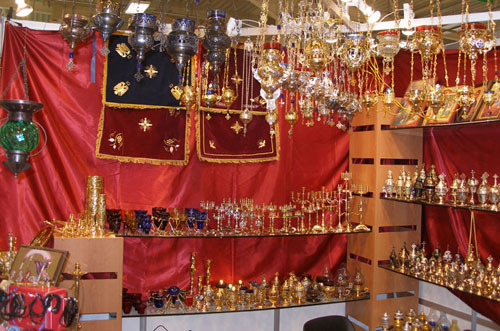 At the top you can see some Hanging Oil Candles and right below some Candle stands and Standing Oil Candles (Exhibition Laiki Texni 2009). 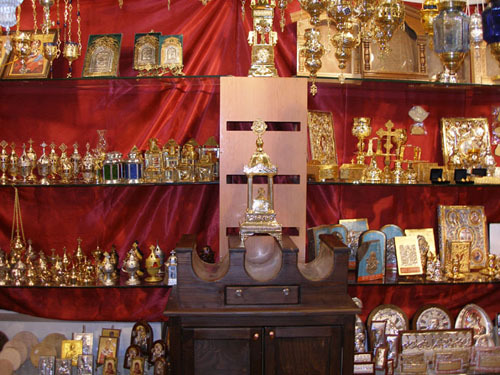 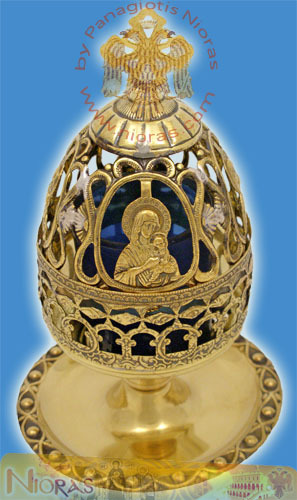 At the front there is a three-slot Candle Case and behind it various Icons, Oil Candles and Chalice Sets (Exhibition Laiki Texni 2009). 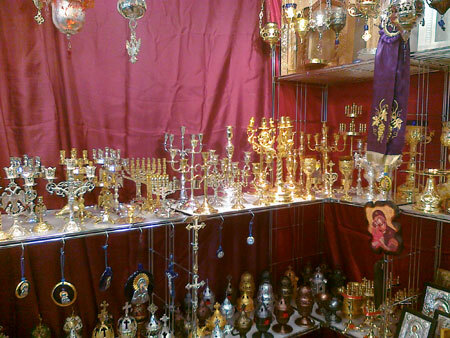 Here are some more Icons, Oil Candles, Bracelets and Praying Ropes, Silver Blue Eyes and handmade Gospel Covers (Exhibition Laiki Texni 2009). 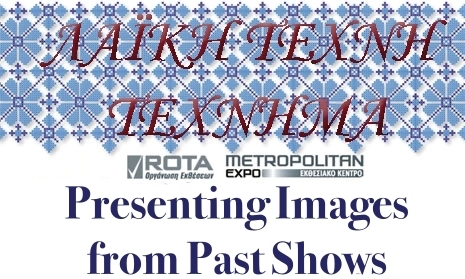 At 10-01-2008 we participated in the exhibition "Laiki Texni 2008" that took place at the old Airport "Elliniko". 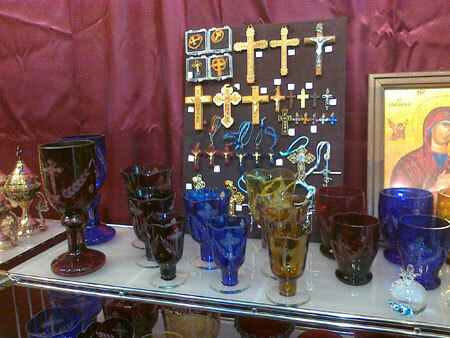 Below in the photographs you can see our stand. 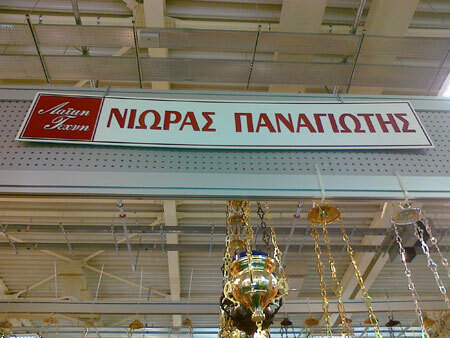 I would like to thank you Mr.Panagiotis Nioras.